How do we empower communities with the tools to survive and thrive through the uncertainties of climate change? This was one of the many questions asked at the Sierra Nevada Alliance‘s 25th Anniversary Conference. On August 15th, the Rose Foundation’s grants team traveled to Kings Beach, California to find out. This year’s conference was focused on regional resiliency, with the goal of collaborating across organizations and learning innovative ways to enhance the ecological resiliency of the Sierra Nevada region. Resiliency has become quite a buzzword recently, and is defined as “The capacity to respond to a perturbation or disturbance by resisting damage and recovering quickly.” As climate change causes more disturbances to ecosystems and communities, it is important to create tools and policies that build capacity to both mitigate damage and adapt quickly. Although this topic is particularly salient in the Sierra Nevada, its issues are applicable statewide, nationally, and globally. The Sierra Nevada is vital to both the environment and the economy of California. Its places and people provide Californians with fresh water, clean power, working lands, and breathtaking wilderness. The watersheds of the Sierra Nevada provide roughly 60% of California’s domestic water, and is home to 40 native fish species and 400 terrestrial invertebrates. 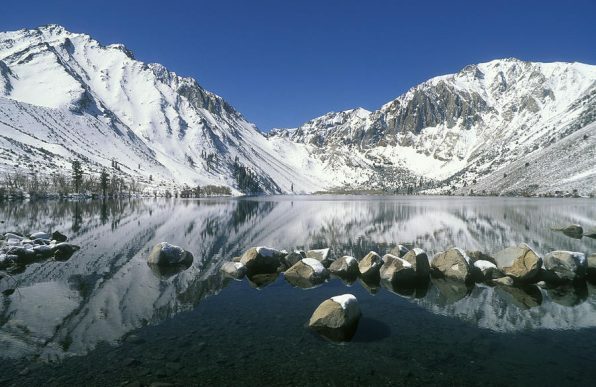 The Sierra Nevada is ⅓ of the area of California, making it the state’s largest bioregion. Unfortunately, the Sierra Nevada region is particularly vulnerable to the precarious future of climate change. According to California’s Fourth Climate Change Assessment, by the end of the 21st century, temperatures in the Sierra Nevada will rise by 6-9 degrees Fahrenheit, enough to reduce snowpack, and thus our domestic water sources, by over 60%. Considering resiliency through the lens of one of California’s most vital regions opens up strategies that communities can use in all of California, and beyond. Keynote Speaker Richard Heinberg: What is a Resilient Community? This conference kicked off with keynote speaker Richard Heinberg, senior fellow at the Post Carbon Institute. Building a base for the entire conference, Heinberg gave initial insight on how communities can build resilience ahead of disasters. He first presented the idea that promoting ecological resilience must start at the local level. Furthermore, stakeholders must consider the dynamics of the people involved with any environmental issue, considering who is in power, who doesn’t yet have a voice, and who will be most impacted by the changing climate. Because these challenges are dynamic and interactive, communities must approach problems using systems thinking, as well as maintaining adaptability. Finally, Heinberg ended his speech by stating that communities must have courage, because we must challenge the status quo and create fundamental changes to transition into resilience. The Rose Foundation sponsored a workshop called “Regional Frameworks for Watershed Health”, where panelists from Sierra Nevada Conservancy, South Yuba River Citizens League, California Watershed Network, and Point Blue evaluated the health of Sierra watersheds, and strategies to improve their resiliency. Speakers first addressed challenges to improving watershed resiliency, such as the disconnect between the boundaries that water policies place upon watersheds, ignoring the reality that watersheds are interconnected due to human infrastructure. They also touched on the disconnect between the technical, environmental, and social aspects of watershed infrastructure projects. After identifying the problems, panelists discussed solutions and priorities to promote watershed resiliency. They first talked about how Sierra Nevada conservation groups need to talk more with Sacramento legislators, make efforts to co-author legislators, and mobilize more member organizations through effective collaboration. In addition, policies need to connect watershed health with forest health, because that is missing in watershed plans. Because of the regional interconnectedness of watershed policies, promoting watershed resiliency will be vital looking forward. Speaking from the lens of cultural and wildlands resiliency, in a panel The Sierra Fund addressed the impacts of the last 150 years of gold mining, clear cutting, fire suppression, colonialism, and irresponsible development on the Sierra Nevada meadows, forests, fish, and communities. The panelists explained that a holistic historical context tends to be missing in the mainstream U.S. environmental movement. Focusing on the environmental destruction and Native American genocide that came with the Gold Rush, The Sierra Fund brings these problems to the surface, while coming up with interdisciplinary and comprehensive solutions. One example of their work is their Braiding Pine project. Through weaving traditional knowledge, ecosystem resiliency, and community resiliency, the Sierra Fund is working to return to traditional forest management practices in the meadows of the Red Clover Valley, pictured to the right, where 20% of Sierra Nevada invertebrates are dependent upon the region. 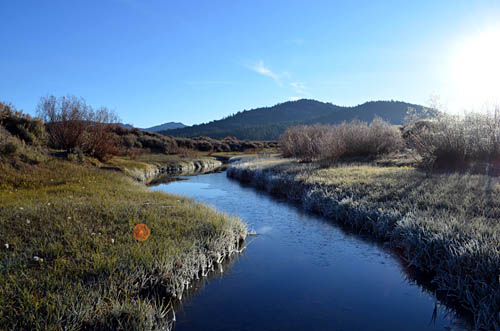 The Sierra Fund also promotes ecosystem resiliency by leading pilot projects to establish best practices for restoring the forests, rivers, fish, and meadows impacted by the gold rush. The Fund also promotes environmentally healthy communities by reducing public exposure to mining contaminants and improve access to clean water and safe fish for underrepresented communities. 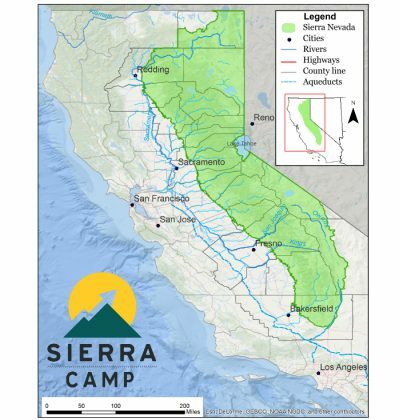 By effectively communicating and building the capacity of communities through interdisciplinary projects, the Sierra Fund is a great case study of how resiliency can be promoted by reflecting on the past, closely analyzing the present, and planning for the future. The workshop that stood out most to the grants team was called “Diverse Public Engagement and Grassroots Organizing”. Many activists, scholars, and citizens have brought up a blaring problem with the conservation movement: it lacks diversity. According to a study by environmental sociologist Dorceta Taylor, only 3.9% of environmental organizations reveal data on organizational racial diversity. Even worse, the organizations that do give racial data show that on average, Whites comprise of more than 85% of the staff of environmental nonprofits, and 80% of the board members. Panelists discussed how the movement as a whole needs to examine how race, class, and gender influenced and still influence the United States’ conservation movement. The panelists gave lots of insight regarding how organizations and people of privilege can truly foster diversity and justice in the environmental movement. Some of these strategies include to stop apologizing, but instead address structural inequities and move forward by participating in genuine integrated work. It is vital to cultivate trust and show that organizations are willing to listen to all communities at all steps of environmental projects. The panelists noted that environmental organizations cannot merely reach out at the last minute asking for disadvantaged groups to sign or do something at the last minute, because it shows that non-dominant communities were not involved in the planning process of a project. Instead, organizations must collaborate with diverse and underserved coalitions in all steps of a project, not just giving everyone a seat at the table, but provide opportunities for new tables to be created. As both the Sierra Nevada Alliance and the Rose Foundation celebrate their 25th year anniversary, it is an important reminder to reflect, in order to move ahead. This conference pointed to many topics that we at the Rose Foundation are discussing on multiple scales, such as how to truly build a diverse coalition of community members. In addition, the Rose Foundation is working to consider holistic approaches to watershed and other conservation projects that we fund. As the Rose Foundation tries to promote the resiliency of communities all across California and beyond, we will apply what we learned from the conference in all aspects of our work.